1Bitsy & Black Magic, Open Hardware ARM microcontroller platform with an easy to use programmer and debugger. You can develop for 1Bitsy on any operating system you want. Linux, MacOS or Windows. 1BitSy V1.0b beta pinout diagram. github USB HS/FS, 17 TIMs, 3 ADCs, 15 comm. interfaces. 1Bitsy V1.0d prototypes. Getting ready for @ohsummit . Thanks to @oshpark you will get a 1Bitsy if you come! 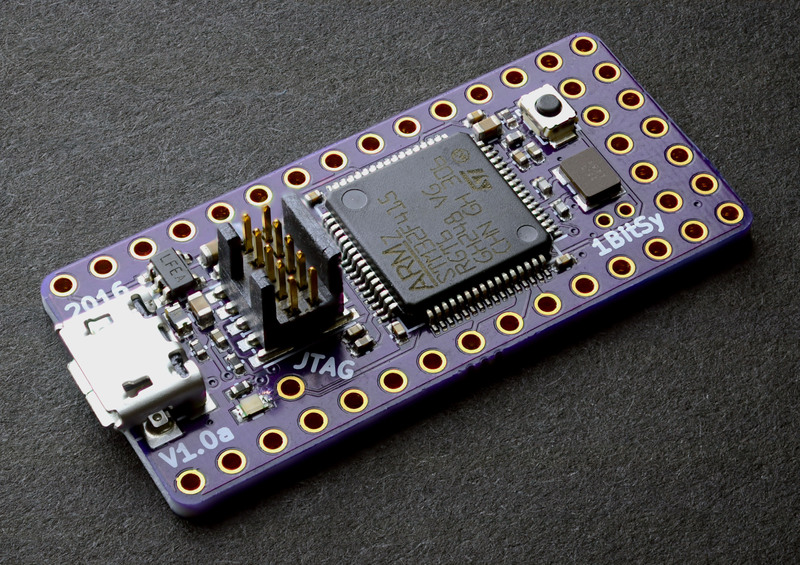 1Bitsy is developed with love by esden, 1Bitsquared and OSHPark. We welcome all contributions.